Even though it’s all things BBC all the time this week, there is still quite a bit of ‘industry shop talk’ going on in an around the convention centre and the hotel. Couple of things we’ve been able to pick up this week while taking a quick break from screening that seem to be making the rounds both on the Internets and in the screening center…. 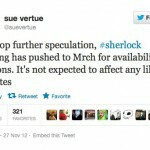 Sherlock to meet Doctor Who in Nov ’13? Ok, it’s not quite Sherlock that would meet the Doctor, but the big rumor making its way around BBC Showcase in Liverpool late yesterday afternoon was the possibility of Benedict Cumberbatch (Sherlock) being cast as The Master for the 50th anniversary of Doctor Who. 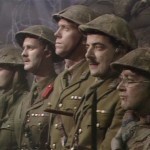 While, thankfully, the most recent rumor to circulate through Twitter, the death of Rowan Atkinson, turned out to be a monumental hoax, let’s hope there is some major validity to this rumor as, I’m guessing, everyone in attendance here in Liverpool would line up to acquire this program once it becomes available. I can usually make anything work in my head so with the 50th anniversary just over the horizon in November 2013, this makes sense on all counts. Both Sherlock and Doctor Who are headed by the brilliance of Steven Moffat, so they know each other well. Benedict will have ample time to master the art of the villain following his current role as the main villain in the upcoming Star Trek feature. This just continue to defy logic more and more by the day. It was announced earlier in the day that former Charlie’s Angels and Southland star, Lucy Liu, has been cast opposite Jonny Lee Miller in the new CBS present-day Sherlock Holmes series, Elementary, beginning this Fall. Personally, I’ve never known a series that jumps the shark prior to its premiere, but I’ve recently learned to never say never. From writer, Peter Moffat, this series, airing as part of PBS’ Masterpiece , is a thrilling legal drama that follows cutthroat world of a group of top end barristers. 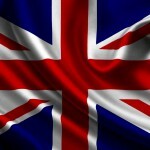 The series is tentatively set for an October 2012 premiere on PBS. Next up in a long line of brilliant detective dramas from the BBC comes DCI Banks, starring Steven Tompkinson (Ballykissangel, Wild at Heart) and Andrea Lowe (The Tudors). He’s tenacious, difficult and stubborn. She’s feisty and headstrong. Together, they make a great team. FYI, Rowan Atkinson is not on Twitter. Doctor Who S6 – 4 days! 2 new clips! DCI Banks is an ITV Drama, not BBC – hint: itv1 in bottom left hand corner of video screen.